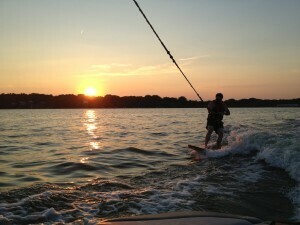 Good surfin’ on the lake this past Wednesday! And some crazy camera work by Paulie! Seriously, this dude was hanging upside down off the back of the boat for some of these shots! 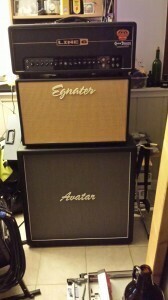 I picked up an Avatar 4×12 speaker cabinet for my guitar rig last week. I’ve been keeping an eye out for one of these for a while now. They’re pretty highly regarded in the guitarist community. They’re well built, and loaded with the right speakers they have some killer tone! I frequently keep an eye on the used inventory of my local Guitar Center. 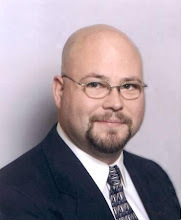 I saw this one pop up and had to have a look at it. I grabbed an amp head and a couple other speaker cabinets and just had a field day swapping between cabinets to compare the sounds of each. This thing sounded better than any other cabinet by far. And to top it off, it looks like it’s brand new! Not even a dent in the tolex! So after a little price negotiating, I walked out of there with my new speaker cabinet for a fraction of what it would have cost to purchase it new. And just this past Friday, my son Joe tested for and advanced to Purple Belt in Tae Kwon Do! During the test, you have to break a board while demonstrating proper technique for a particular kick or punch. Last time Joe advanced, that part of the test gave him the most trouble. He was a little nervous about it. Despite his apprehension, he was able to break the board on his first attempt. Go Joe! Finally, after being frustrated and disappointed that I couldn’t throw the rope in by the end of last season, I’m starting to get the hang of wake surfing. I was able to throw the rope in on Sunday and ride nearly the entire length of Cedar Lake before getting cocky and loosing it. I was a little concerned that maybe it was only a one off incident, but my fears were put to rest on Wednesday when I got a couple good rides in without the rope. Seriously, you have to try this! 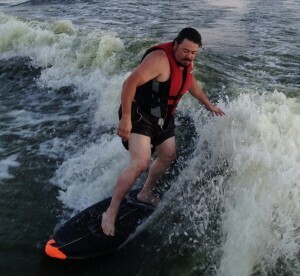 You can still have fun in Cedar Lake, even if you forget your surf board! Yes, you can still surf even if you don’t live in a coastal area. I haven’t gotten good enough to let go of the rope yet… but I’ll get there eventually.